Custom 4 br/3 full bath home on 1⁄2 acre with golf course & lake views is located on one of the most desirable streets in plantation bay. Home features open floor plan with lr, dr and study/4th br. Large kitchen features granite counters, 42'' maple cabinets and pantry. Kitchen opens to large family room with custom built-in seating and triple sliders to screened lanai and heated pool/spa. Large mbr with 2 walk-in closets opens to lanai/pool. Elegant mba with oversize shower and deluxe tub plus dual sinks/vanities. Two guest bedrooms with jack'n'jill bath. Guest bath opens to lanai and features full shower. Side entry 3 car garage and circular driveway to grand entrance. Whole house water treatment and security systems. Upgrades 2018 new pool heater, new heat pump and ext painted. Perfect family home built within last 5 years! Custom pool-lake front home- in exclusive breakaway trails! 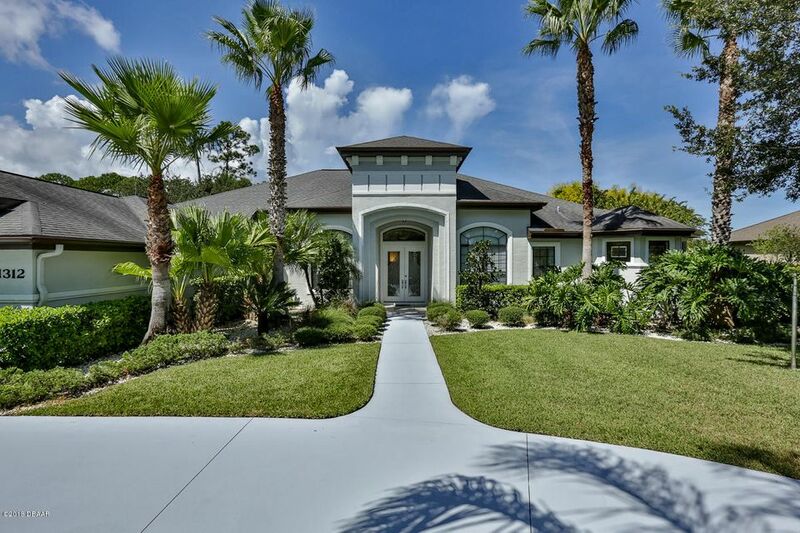 A 24 hour gated community-open floor plan with kitchen and family room looking out into the lanai with pool and lake view. First floor master bedroom. When hurricanes come, know that you are ready with a generator transfer switch, hurricane shutters and electric doors for the lanai! Plus 2 hvac units, 1 for each floor, extended 3 car garage, total of 4 bedroom and 4 and a half bathrooms. Central vac, tall cabinets, security system, elevated counters, zoysia grass, ceiling fans and us blinds in every room! Three of four bedrooms have walk in closets. Remember that everything is around 5 years old. Hers score 61. Enjoy single story living with one bedroom living quarters over the garage. Car and hobby enthusiasts will love the nearly 1400 sq. Ft. Super sized garage. Formal living and dining areas frame the entry with elegant marble floors. The owners suite features a lake view, seating area, two walk in closets and a large bath. The truly huge eat-in kitchen has 42'' oak cabinets, double oven, cabinet pull-outs, solid counters, and a built-in pantry. The adjacent family room has a gas fireplace with a real coral stone surround, and looks into the large tiled and air conditioned lanai with wood ceiling and lake views. This home offers an abundance of space for every member of the family. The generator switch and brick on block construction adds to your peace of mind. This won't last long! 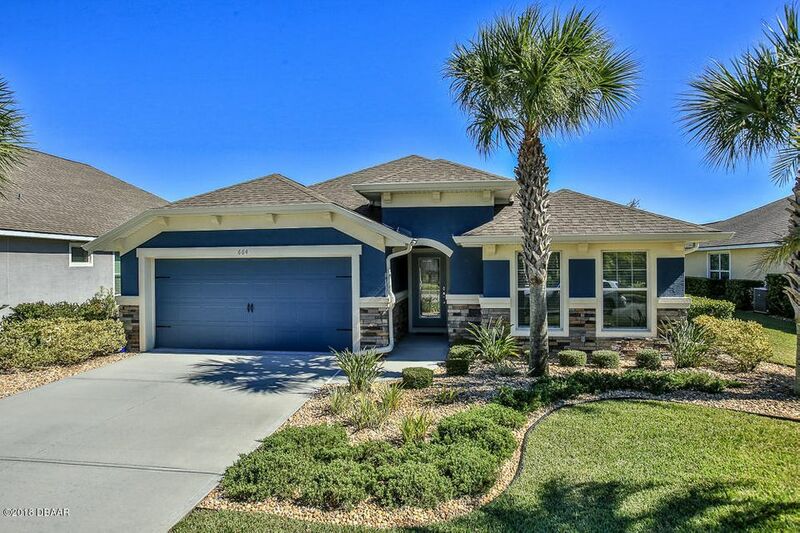 Beautiful lake home located in deer creek hunters ridge community with two pools. 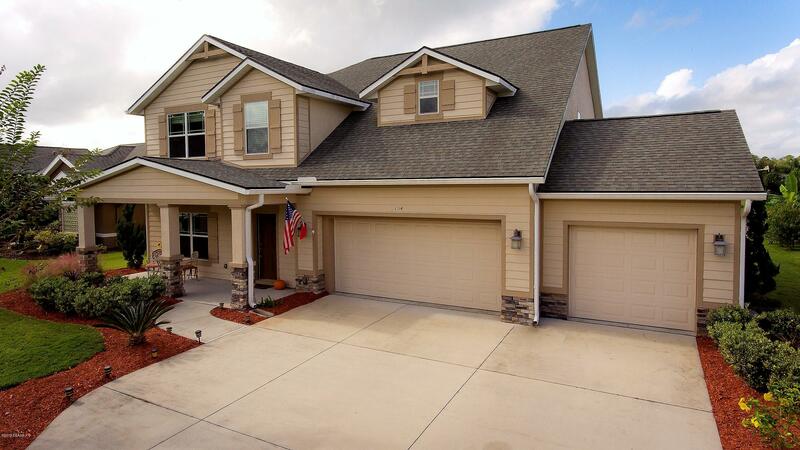 ,4 br/ 2 bath/ 3 car garage, open floor plan, and loaded with many upgrades! Luxurious ceramic tile throughout, bamboo wood flooring in living room, high volume ceilings, solar sky lights, ceilings fans, plantation shutters, 3rd hose bid, two community pools and many more. Your chef will be delighted with the 42' inch kitchen cabinets, corian counter tops, double oven, recently upgraded ss appliances. The master retreat overlooks lake view with tiled shower, garden tub, walk in closet and double sinks. The backyard is fully fenced yard with 3 gates (1 double), fire pit, pavers, tiki bar, just perfect for entertaining. 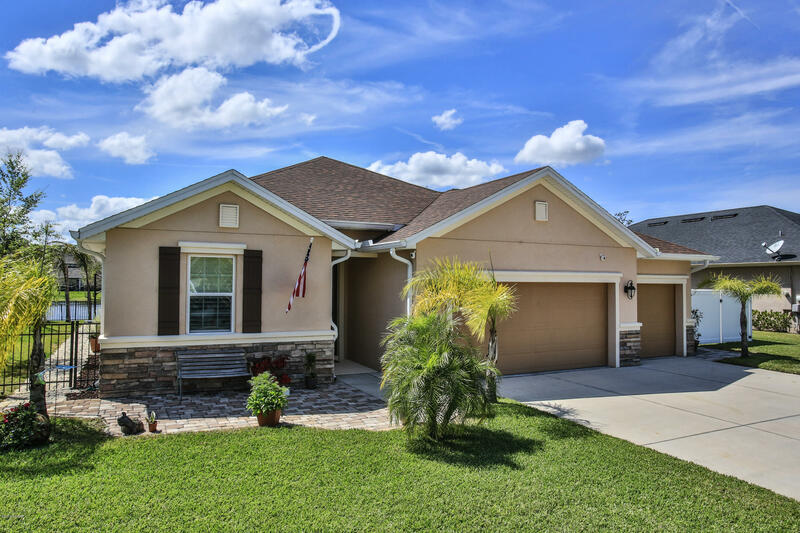 Convenient to schools, i95, daytona, and the beaches. 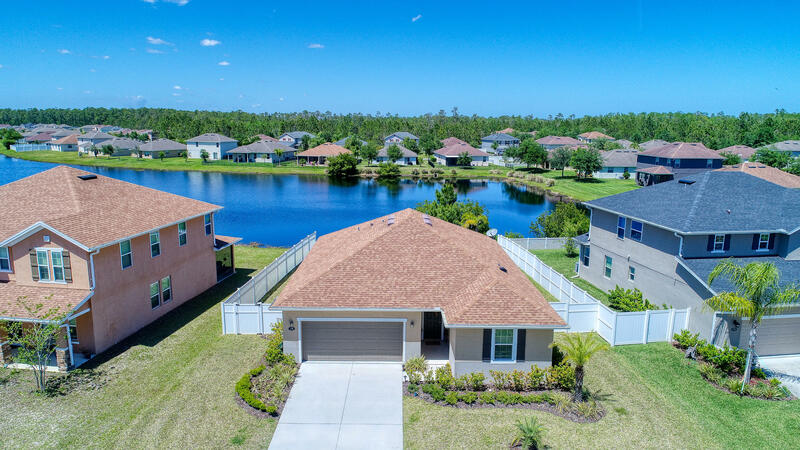 Lake front home with inspiring views, this amazing 3 bedroom 2 bath pool/spa home is located in pristine plantation bay golf and country club [bay isles section}. The master suite which includes a large master bath with a walk-in closet, has sliders to the pool deck and a lake view. Stainless steel appliances, cozy family room with a fireplace, dining room, kitchen nook, 10' ceilings, arched windows, and washer/dryer. Furniture, grill and generator all subject to separate agreement/contract. Square footage received from tax rolls. All information recorded in the mls intended to be accurate but cannot be guaranteed. 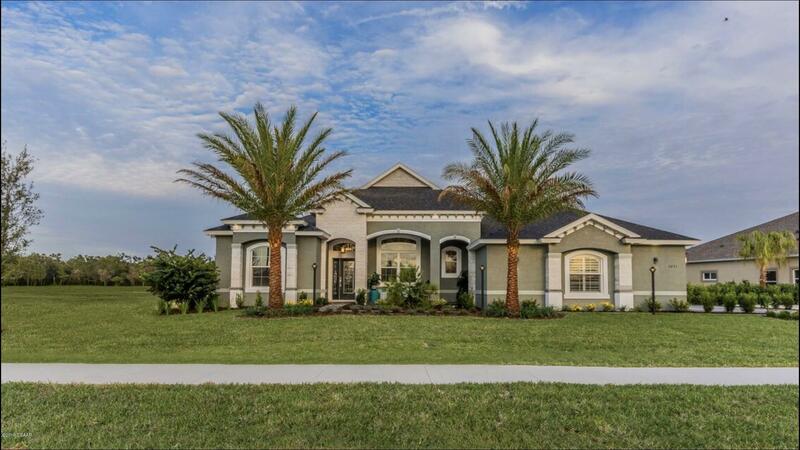 Ici's tiffany model, 3 bedroom, 2 bath with pool on a cul-de-sac with lake view in the exclusively gated subdivision of breakaway trails. An open concept floor plan with two living areas adorned with accents such as niches and plant ledges, tons of character and room to grow and make your own! New ac system installed 4/19. All information recorded in the mls is intended to be accurate but not guaranteed. 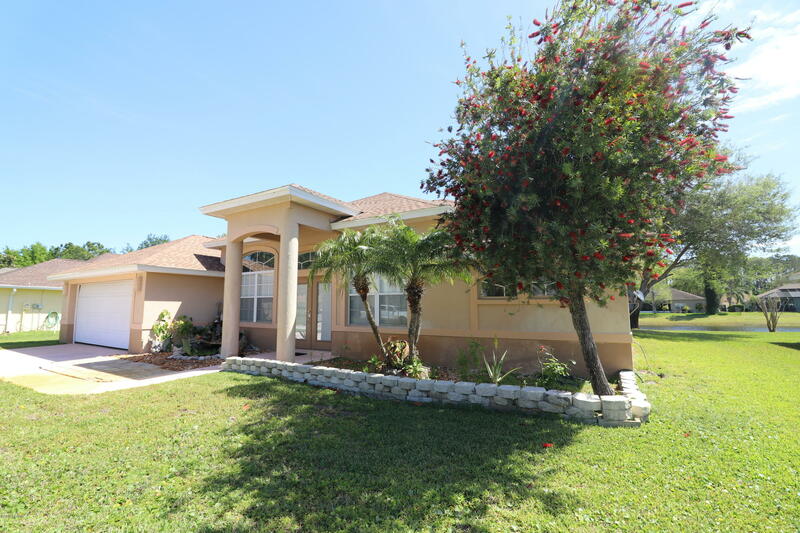 Lake front 3 bed 2 bath home located in ormond green. With an open design and large windows allows for natural light and fantastic lake views. Split floor plan, with master bath featuring a large garden tub, walk in shower and walk in closet. Oversized open kitchen offers a lot of storage and over looks the lake. Ormond green is centrally located, close to schools, shopping and dining. New roof 2019! A must see! Absolutely lovely lakefront home built in 2016! 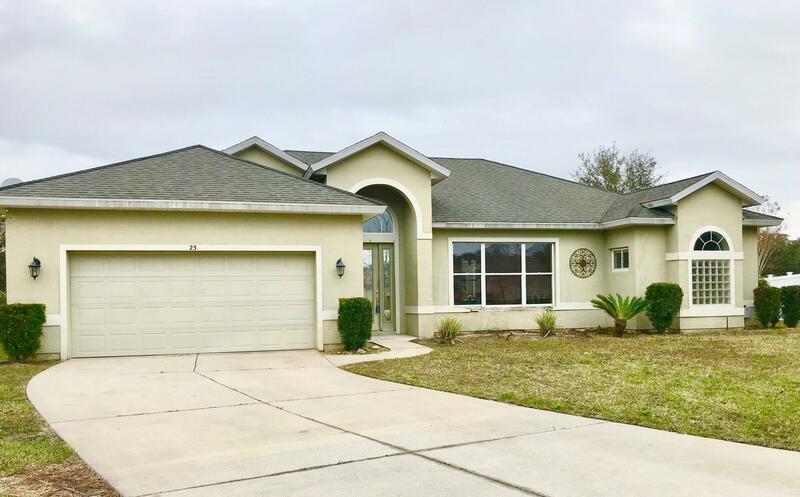 This three bedroom, two full bath home features high ceilings, granite countertops, wood-grain tile floors, ss appliances, ample storage, a two car garage and large pavered back patio overlooking a sparkling lake--the perfect setting for outdoor entertaining. Wake up in the large master bedroom to peaceful lake views. Master bath has separate walk in shower, soaking tub and dual vanities. Privacy fenced-in yard great for children and pets. Close to shopping, restaurants and i95 access. Hunters ridge subdivision provides great walking trails, bike paths, tennis courts, two community pools and a private clubhouse. 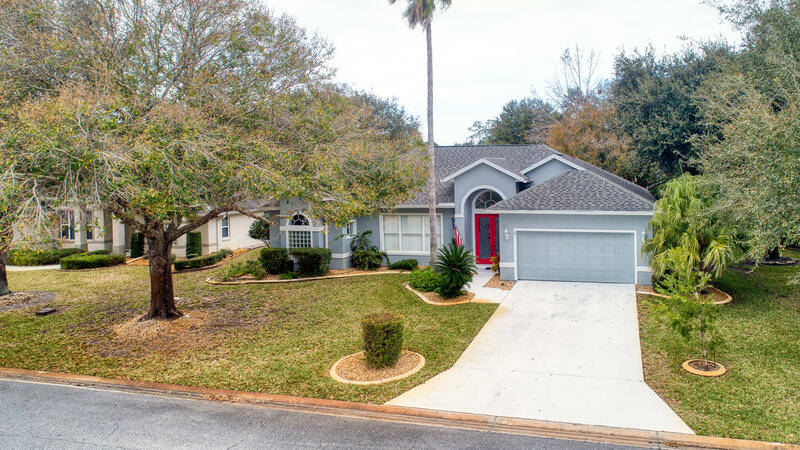 As of today, 4/22/2019 the average home price for homes for sale in Ormond Beach is $412,312.